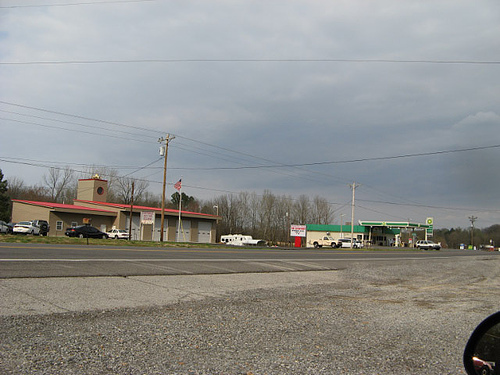 Possum Trot , Kentucky – A Guam Boy on a Mission , Ya’ll! 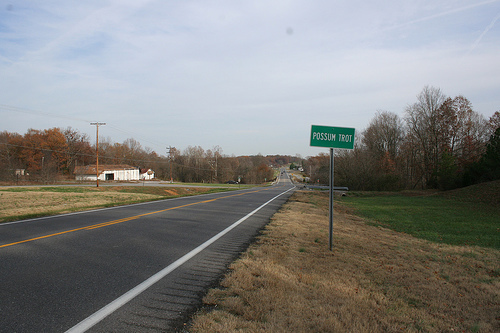 Tucked away in Marshall County, Kentucky is an unincorporated community between Paducah and Calvert City called Possum Trot. Like a place imagined out of a script of one of those classic TV shows like the Beverly Hillbillies or the Dukes of Hazzard, I found myself living and working in the area. That was back in late 1980 and early 1981. I was assigned there as a Mormon Missionary, a fairly new convert ( just about two years) from Guam. I grew up as a Catholic, converted to Mormonism, and was now in middle of Baptist and Evangelical country. I was barely 20 years old. Mormon missionaries are totally self-sustaining or supported by their families ( in my case by some members of my church group). They are not paid by their church. It is volunteer service. For me , it was a privilege and an adventure. Although, I am no longer an active member of the church, my mission remains one of the greatest experiences of my life. Beneath the veneer of the white shirts and ties, the bicycles, the Book of Mormon, and teaching the gospel of Jesus Christ…was this whole life experience. I was literally in the mode of service to my fellow human being in terms of assistance to the poor, service projects, youth projects, community service, family presentations, etc. I learned to live out of myself and to embrace people different then I was and to accept them. I learned to live with adversity. I learned about prayer, faith, the human condition, God and Life. I learned about myself. I learned how to be a leader. I kept a journal of my experiences and it is amazing to see the writings of the 20 year old young man that I was at the time and the lessons of that time that have carried me through life. It was the happiest time of my life and it was also the hardest time of my life. I no longer affiliate myself with the Church. However, my mission and its experiences contributed to who I am today. I wish that every young man and woman in our country could have the opportunity to dedicate at least one year of service in a worthy cause after graduating from High School. It will change their life. It will change our country. 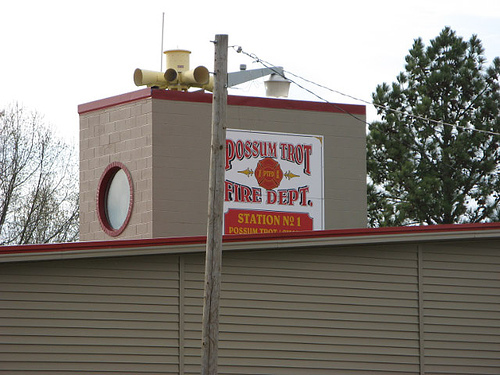 Possum Trot was just one of the areas that I served in during my mission. I was assigned to other towns and cities in Tennessee, Virginia and Georgia also. 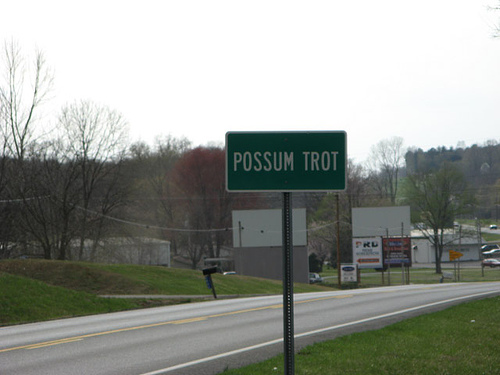 However, Possum Trot stands out in my mind as one of the most significant places of my life. 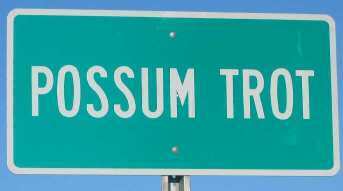 WOW I grew up there in Possum Trot. I haven’t been there since I was a teen. That was Jack Marshall’s IGA, next door was a place to rent movies but I think it changed to a furniture store. The Possum Mini-Mart was across the street. I wonder if you have any pictures you could send me from there? I thank you for your wonderful service to the people of Possum Trot, and for your willingness to sacrifice your time for the Lord. My daughter is happily married to the oldest Harper boy, and now Brother Harper is the Bishop in Paducah. Your teaching and influence will go on for generations. Your message meant so much to me. Please give Bishop Harper and his wife my love and let him know they are in my prayers. Hi, I was writing this to Joshua. All of the pictures on here are as recent as they get! Since the old movie place next to “Marshalls”, it’s been too many things to count….but it’s back to a movie place right now! The only things really to change…other than more houses…are Pay & Save’s long gone, and some of the back roads have been widened. If there’s anything in specific you’d like to know or want pictures of…feel free to write! Thank you for your comments to Joshua. 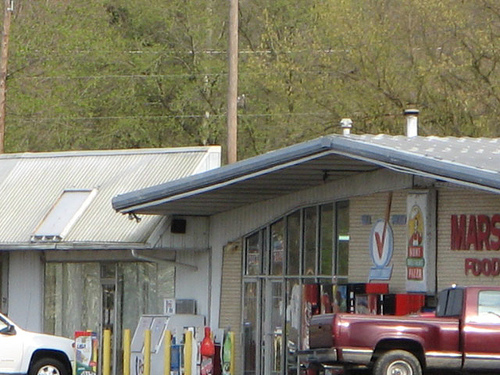 https://tasithoughts.files.wordpress.com/2008/06/435048539_74b7eaf904.jpg this is a picture of the old Minute Mart . I live in Pssum Trot Now. Hello, I was searching for the number to order a pizza at the Possum Trot IGA and this link came up. HA! How funny! Anthony & Marsha are my parents. I was not born when you served here, but I do remember meeting you and your family in Utah several years ago. I am so very grateful to you that you chose to serve a mission and you were able to find my parents and share the gospel with them. Because of you, I was able to grow up in the gospel. I am able to go to the temple and I can have my little family for eternity! My little brother is currently serving a mission in Arcadia, California. Definitely a culture shock for him…not like good ol’ Possum Trot, right? lol He is one of the best young men you will ever meet! Thank you so much for sharing this! My parents have only spoken wonderful things about you! Would it be okay if I had your email? I know my parents would love to catch up with you. My heart is deeply touch receiving this note from you. I am so glad that you and your family are happy. I only have wonderful memories of my time with them there. I am not active in the church anymore but only have deep abiding love for the people and my missionary experiences out there. You can have them contact me at the following email : jpaulsf@yahoo.com. I will share more info. there. My family is from Possum Trot.We are Barretts.My dad is Jack, my grandparents were Alton and Artie (RT) I am kin to the Phelps,Pecks, do you know us? Cory, we are probably related. lol I think some way my family is related to the barretts. Hey guys this is Joshua again. I haven’t been back to this page in a few years but I see that it’s since gotten replies. Thanks for all the updates too. Cory Barrett, they may not know you but I know the Barretts LOL Are you kin to a Mickey Barrett in Possum Trot?